Parents spoke, and the Chicago Park District (CPD) listened. Registration is now open for the CPD 2015 Spring Junior Golf League, an innovative, eight-week program that provides access, competition and instruction for young golfers of all skill and interest levels citywide. Spots are filling quickly as more than 100 kids ages 14 and under are expected to participate in the rapidly expanding league now in its second year. Running April to May at five CPD courses managed by Billy Casper Golf, registration is $150 per player in includes instruction, team uniform polo, hat, glove, balls, bag tag, tees, ball marker and other gifts. Hurry, registration ends March 25. 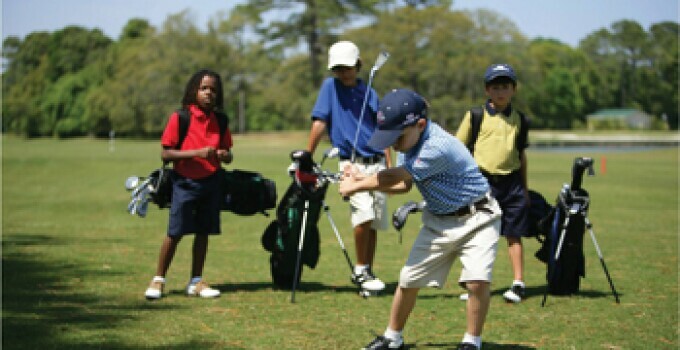 If your child doesn’t have golf clubs, don’t worry! Several golf equipment packages are available from $270 to $315 and include Junior Golf League registration, a set of U.S. Kids Golf Ultralight clubs and a FootJoy junior golf glove. Click HERE to register or call 312-245-0909 for more information.